Penguina Designs will never rent, sell, share or distribute our customers' information to anyone else. 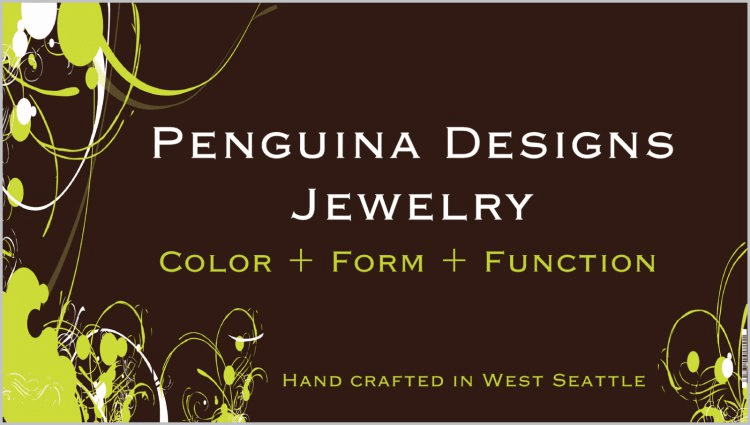 Customers may decline future email communications from Penguina Designs at any time. Web orders are processed within 3 business days; shipping via Priority Mail will generally take an additional 1-3 days and will include insurance. All transactions are in US dollars. Returns are accepted within 30 days of receipt in good condition for store credit or refund; buyer is responsible for return shipping costs. Please email to inform us before shipping the return and indicate why an item is being returned to help us improve our customer experience.